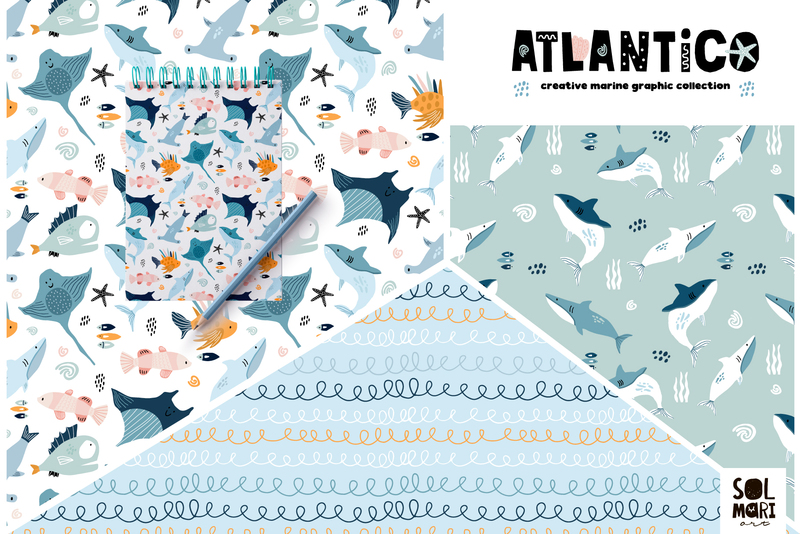 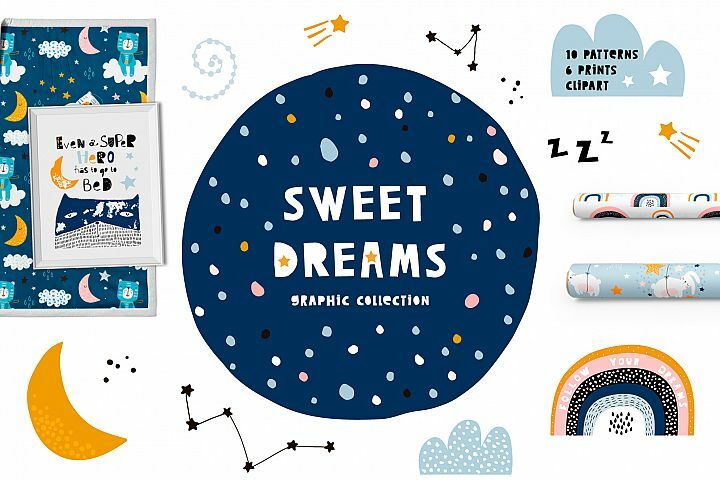 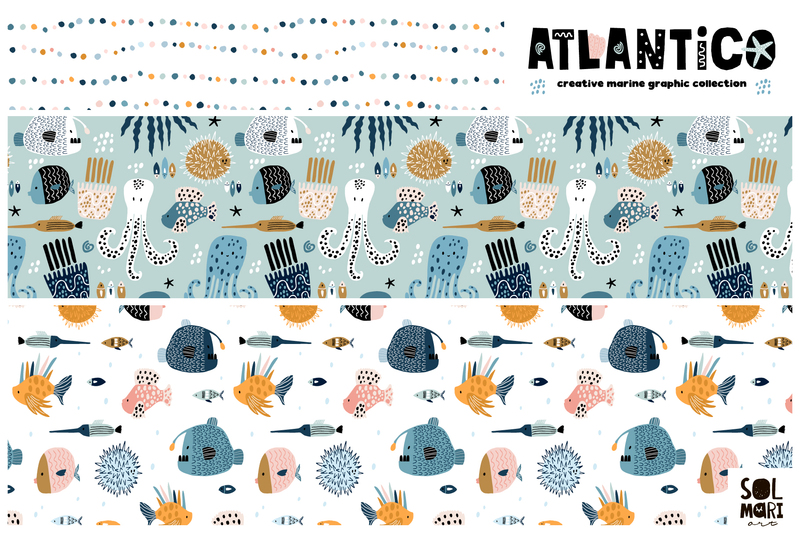 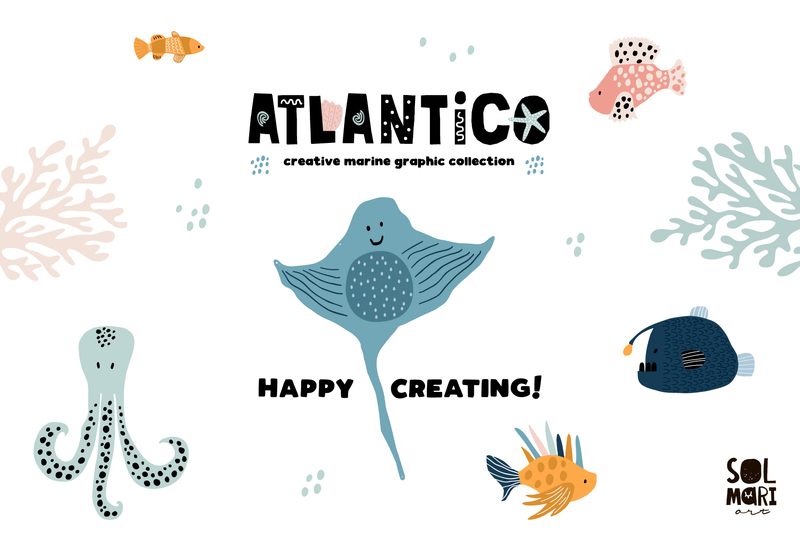 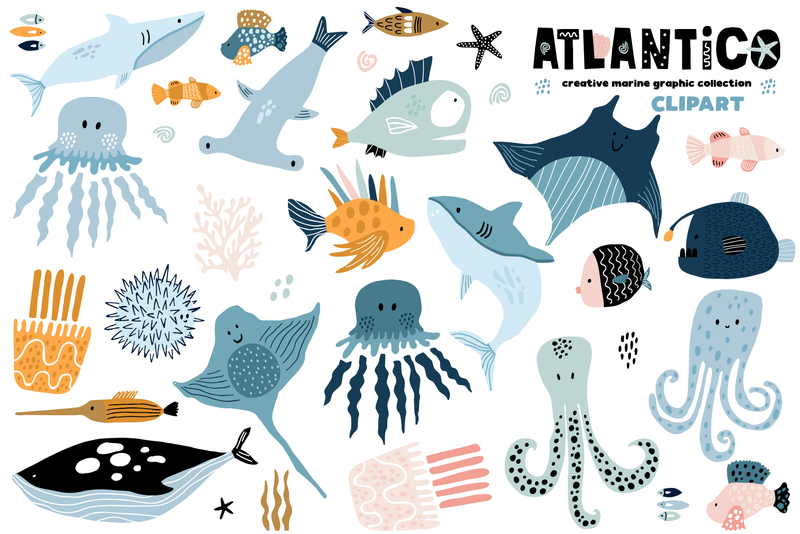 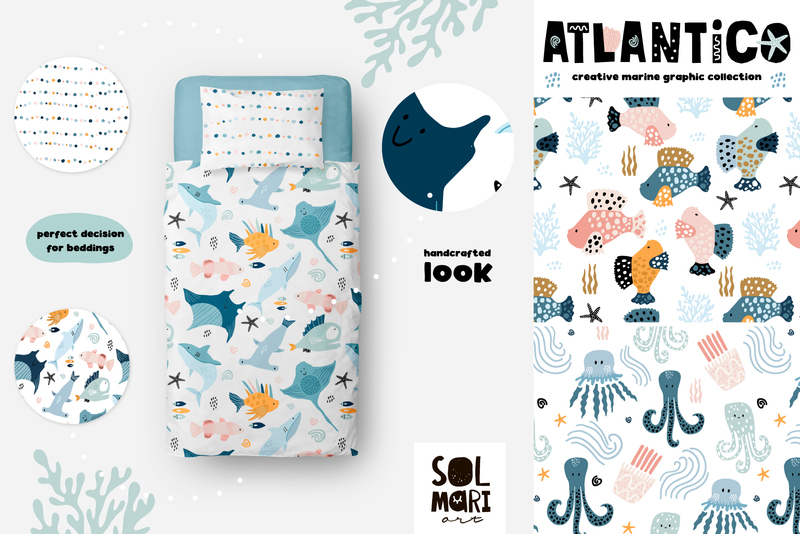 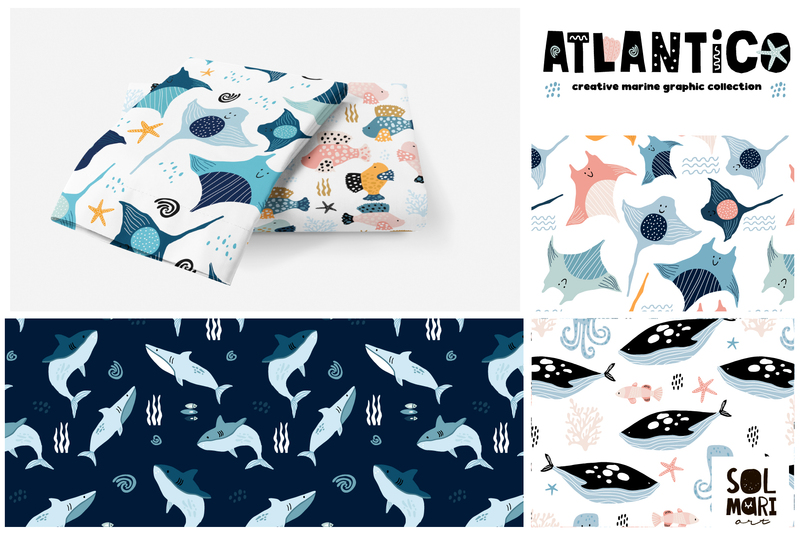 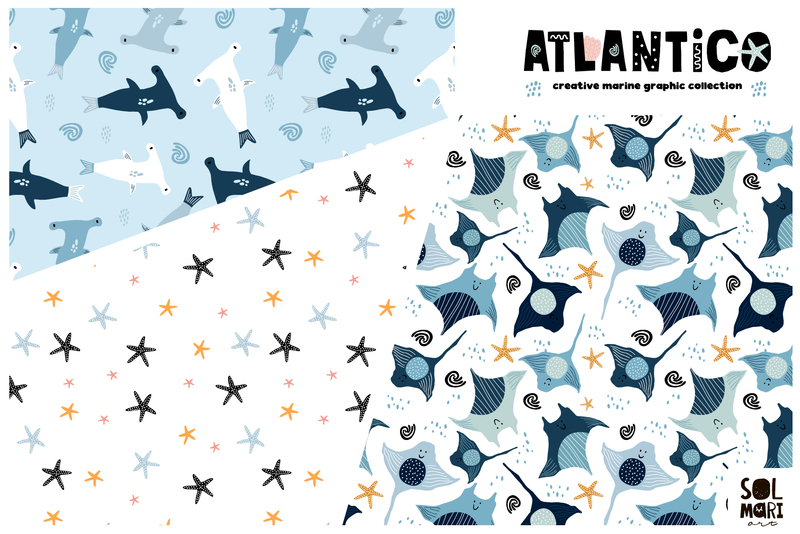 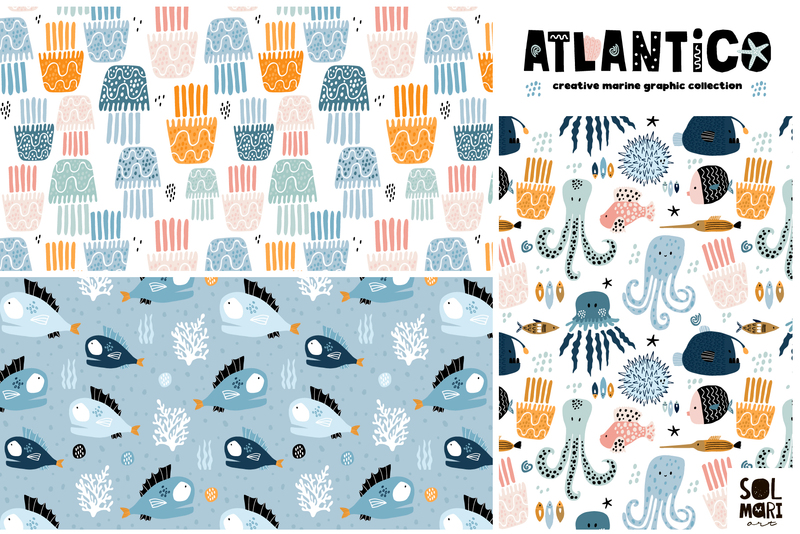 ● Collection includes so much creative patterns in marine style, clipart kit with a lots of funny and bright undersea inhabitants,such as jellyfishe, shark, skate fish, octopus, fisg hengehog, clown fish, hammer fish,anglerfish star fish and other. 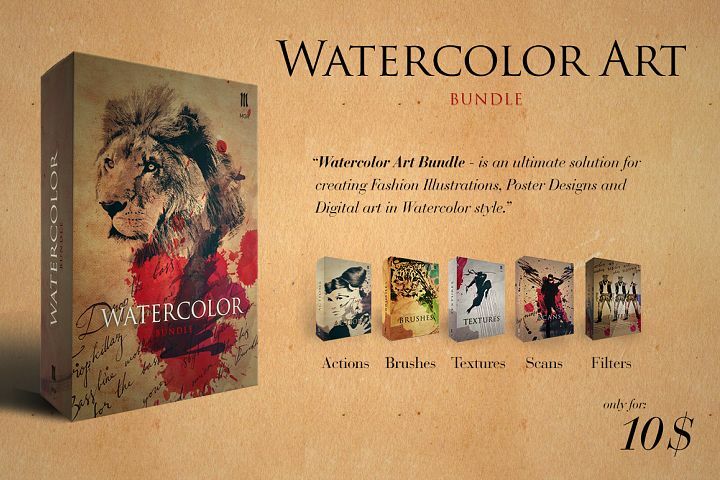 Characters were created with handcrafted technic and hand drawn textures. 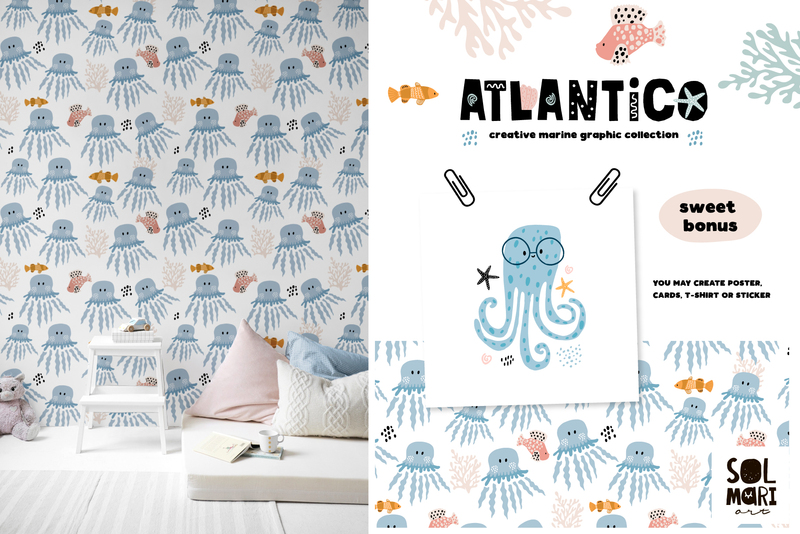 With this collection you can easy create design for your companies products, branding, fabric, apparel, nursery decoration, bedding, wallpaper. 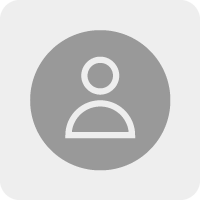 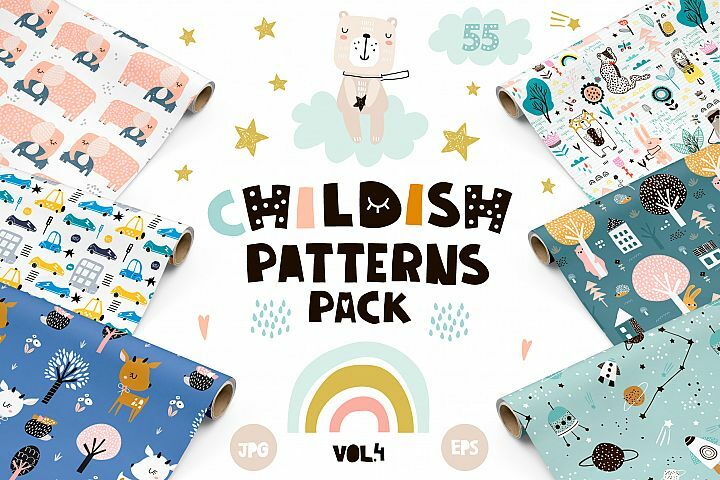 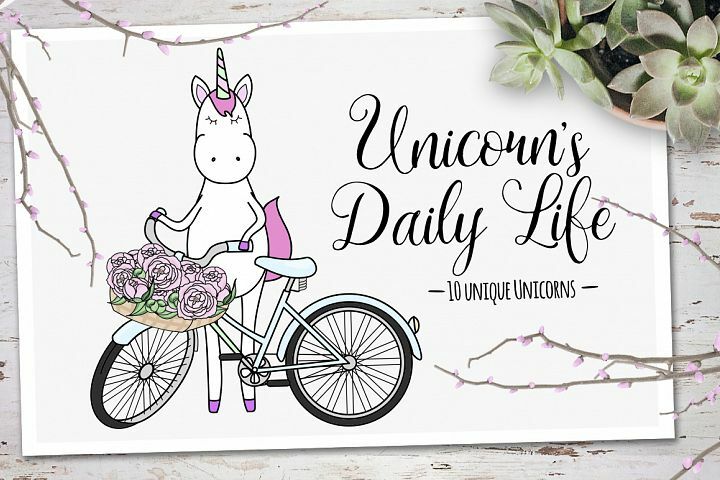 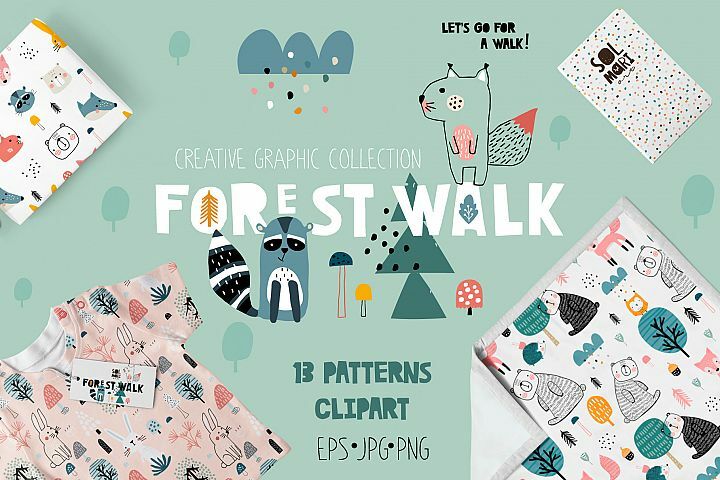 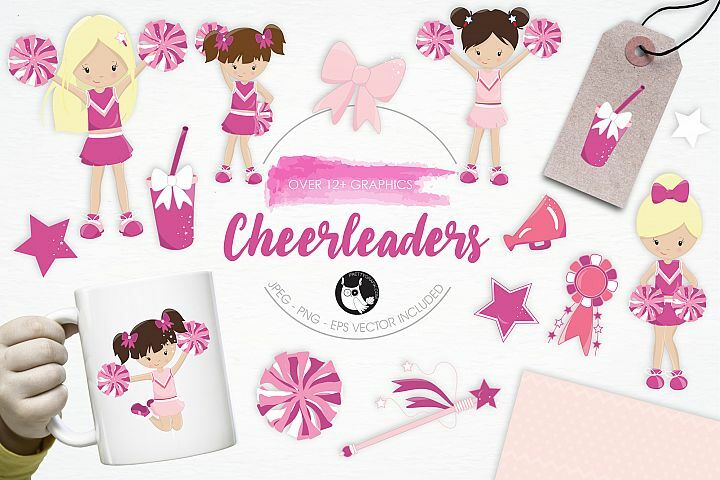 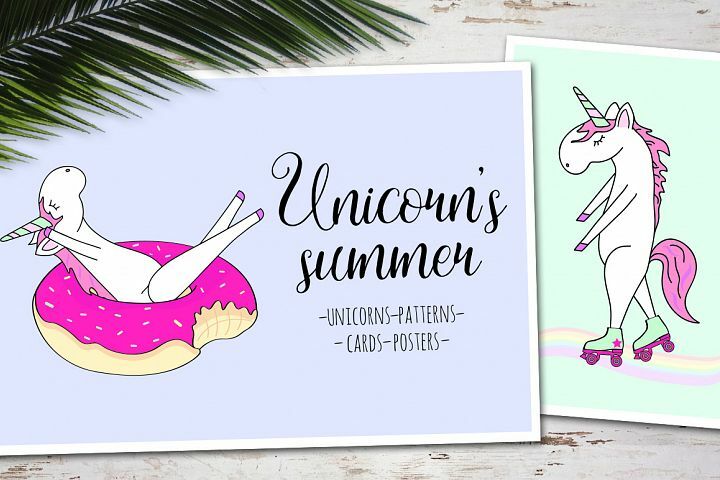 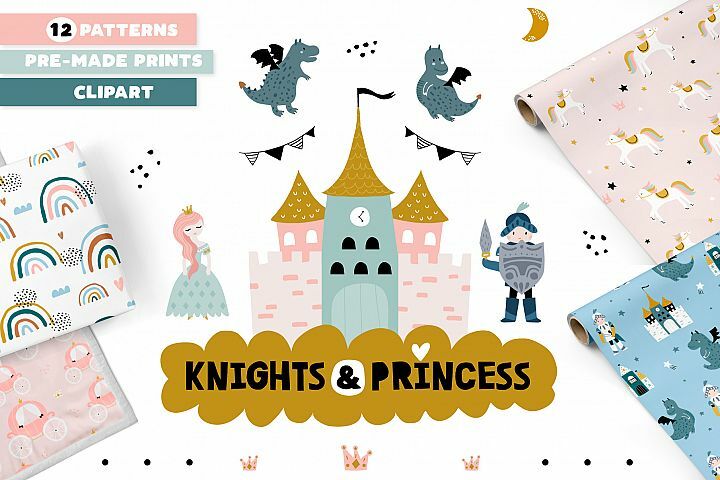 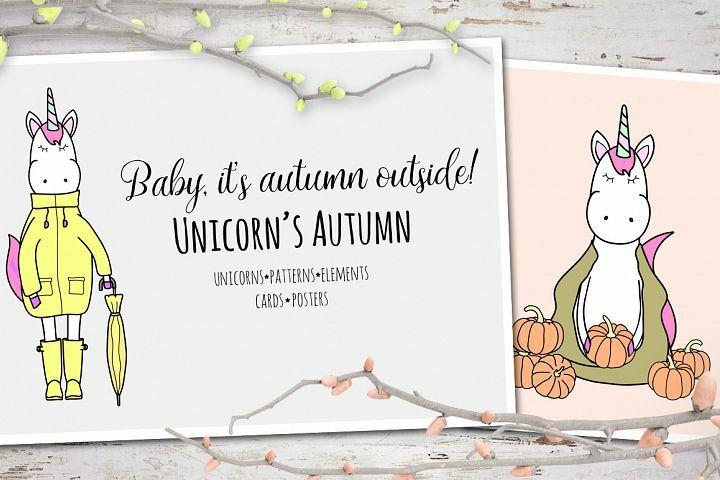 ● Also all of these graphic may be using in stationary, for notebook design, stickers, baby shower cards,greeting cards,wrapping paper and so on. 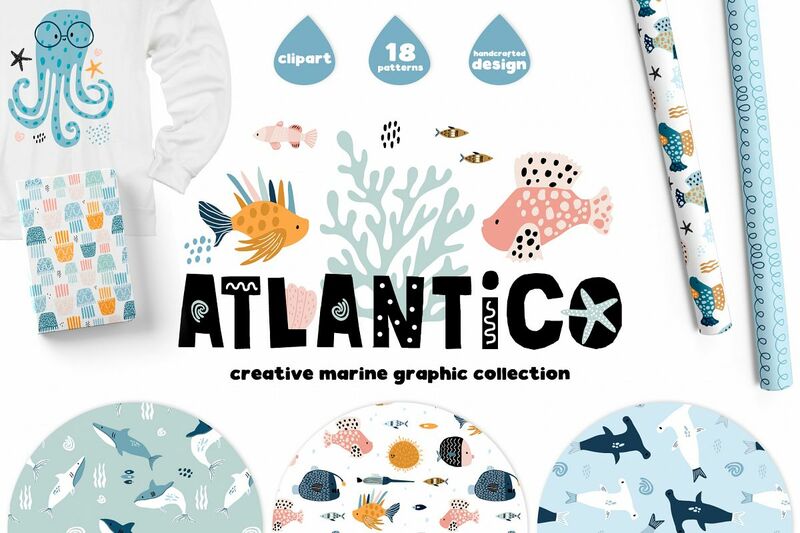 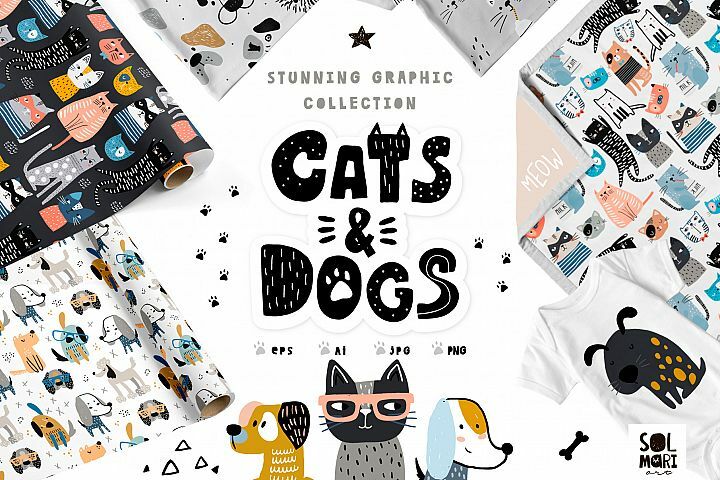 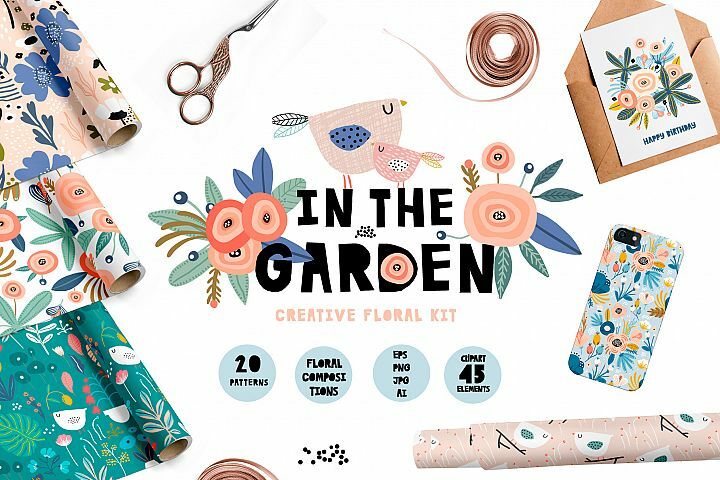 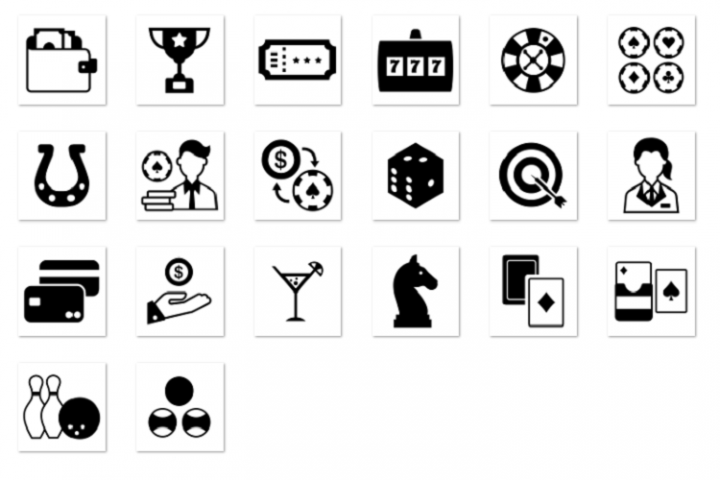 Mix and match any pattern with separate elements from clipart and get unique and modern end product for your business!